It relates to a situation I’ve been dealing with recently. Read the next section and you’ll see what I mean. For most of Dan’s life, his mother has struggled with a severe form of lymphoma and has been considered “terminally ill.” When Dan is 25, his dad is diagnosed with ALS (Lou Gehrig’s disease), and Dan has to move home to be a caregiver for a pair of terminally ill parents. While he has siblings to help carry the burden, the struggle is intense, though Dan approaches it with a certain degree of humor. This book intrigued me because I spent September 2013 to January 2015 as a caregiver for a terminally ill parent. A disclaimer: this book uses swear words prolifically (at least every other sentence) and is extremely negative about Mormons. I have Mormon family members and would not recommend this book to them for that very reason. I found it to be a truthful, heartfelt, and humorous memoir about life as a caregiver. Marshall captures the exhausted but dedicated mentality of a caregiver and both the highs and lows, as well as the wacky situations in which we find ourselves. That’s not to say that I agree with everything that happened in the book, but I found it to be an engaging and enjoyable read and would recommend it to people struggling with caregiving. It’s a great book for letting you know you’re not alone. Primarily due to my obsession with Food Network and celebrity chefs. 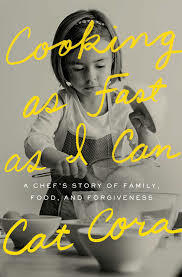 This is a memoir of Iron Chef and TV personality Cat Cora, best known for her take on Mediterranean cuisine. This is one of the best-written and most enjoyable memoirs I have read in a very very long time. I learned a lot about Cat (like that she is a lesbian, was sexually abused as a child by a family friend, was adopted and has a good relationship with her birth and adoptive families, and has 4 boys (2 biologically hers) with her partner). Cat is honest about the stress of celebrity life and the negative impact it has had on her family, and about her struggles reaching the place she is now. As with so many of the books in my life, I read about it somewhere and was intrigued. I confess, though, that it took me a long time to get to it on my TBR (to be read) pile. Nina quits her job as a journalist after realizing that she no longer enjoys it. After finding an ad on Craigslist for an assistant carpenter, she applies and is hired. The book consists of anecdotes about her employer, her time on the job, and the joy she found in working with wood, tile, and power tools. 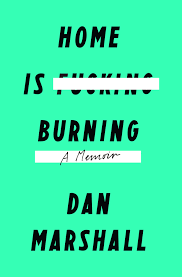 I think the people who would enjoy this book are those that like these kind of topically focused memoirs. It’s similar in a way to Julie and Julia by Julie Powell or Eat, Pray, Love by Elizabeth Gilbert or even H is for Hawk by Helen Macdonald. A good, quick read. 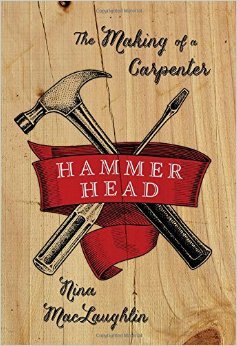 I finished it in a couple of nights and enjoyed both the writing and learning about carpentry. I wouldn’t say I loved it, but I liked it.